Are you hyper-organised, driven, ambitious, and a seriously hard worker? If so, you probably have what’s known as a Type A personality. The concept was originally developed as a way of assessing the risk of heart disease in a group of people – though now have far more sophisticated way of judging those health risks, the idea of different personality types has definitely stuck around. While nobody is 100% one ‘type’, if you find that you fit the typical Type A traits: hardworking, invested in your what you want out of life, a little highly strung, and a natural leader, then there are certain jobs that may suit you well. Consider one of these career pathways if you fit into this assertive personality group. Logistics: Never heard of logistics? You may enjoy it. Without the people who specialise in logistics, the whole world would probably cease to function as it should. 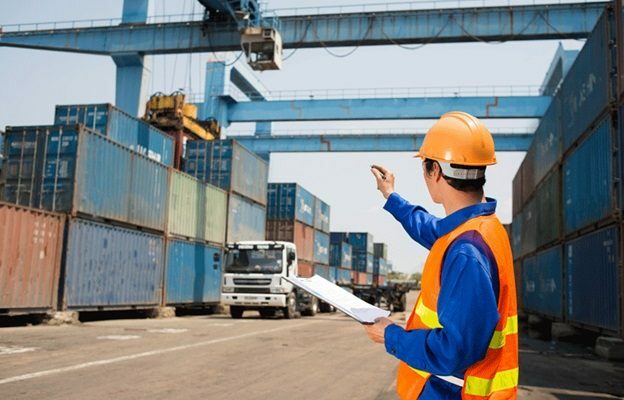 Depending on the specific role, those who specialise in logistics have to manage a supply chain, keep a team or sometimes an entire business running as smoothly as possible, monitor the success or failure of specific operations and ensure that everything gets done exactly as it should. This exactly the type of role that someone with the attention to detail and strong work ethic that comes with a typical Type A personality would excel in, and a diploma of logistics can get you started on your career track. Small business owner: Have you considered becoming an entrepreneur and starting your own business instead of seeking out and being hired by a boss? Many people with this personality type find that they do best when they work as their own boss, so that they’re able to direct all of their focused energy into achieving their goals. Small businesses are most likely to succeed when you start out with a clear business plan and a passion for the industry you want to make a mark in. The independence and high levels of motivation that come with this personality type often make them excellent small business owners – and potential future large business owners. Team leader: If a Type A personality finds themselves working for a company, they often feel most comfortable in a leadership position rather than having to follow along and simply take orders from the higher-ups. While this can take time to achieve, if you apply that strong work ethic to whatever job you’re in, you’re sure to get the promotions you aim for and find yourself in positions of leadership. You can then direct projects, manage teams, and use your desire to produce perfect results every time to impress your superiors and help the company grow. Events organiser: Life in events management and planning is fast-paced, often chaotic, and involves a great deal of organisation, preparation, and detail-oriented people to make sure the event goes off without a hitch. Type A personalities are very well-suited to this type of role thanks to their drive to exceed the expectations of those who hire them and their ability to keep up in fast-paced environments. The perfectionism that sometimes plagues this personality type can also work in your favour when it comes to pleasing a fussy bride who wants you to plan her dream wedding. Previous PostBest books for NEET preparation Next PostWhat are your career options for a role in fashion?